If you’re a real estate solutions company buying properties for cash, try adding another arrow to your quiver by buying notes and deeds. Notes and deeds can be far more profitable, and less stressful than stocks and real estate investment in physical property. Here’s how to go about buying notes and deeds. You become the bank and service the loan yourself or hire a third-party servicing company that also deals with late pays. 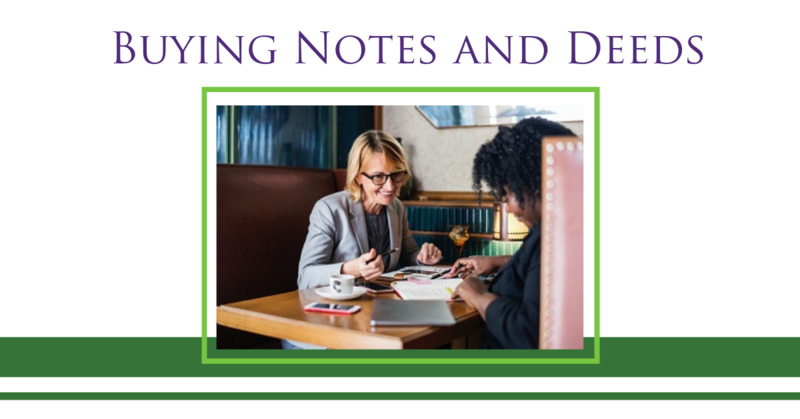 For more information on Building Wealth with Notes Workshop attend one of Paige Panzarello’s classes. You can register for the next class, go online for training. or listen to these powerful podcasts.